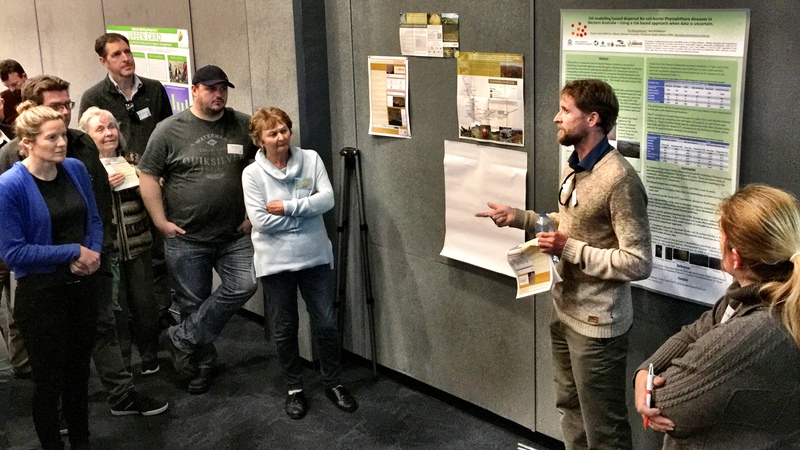 I recently attended the 17th annual Dieback Information Group Conference 2018. Themed Working together – combating plant disease through collaboration. The focus of the day was on ‘how we can work together more effectively to manage significant plant pathogens impacting our cultural, environmental and other values’. DIG is the Dieback Working Group‘s (DWG) annual conference for industry, community, researchers and Government to share current programs, research developments and management tactics to combat native plant diseases, including Phytophthora Dieback. 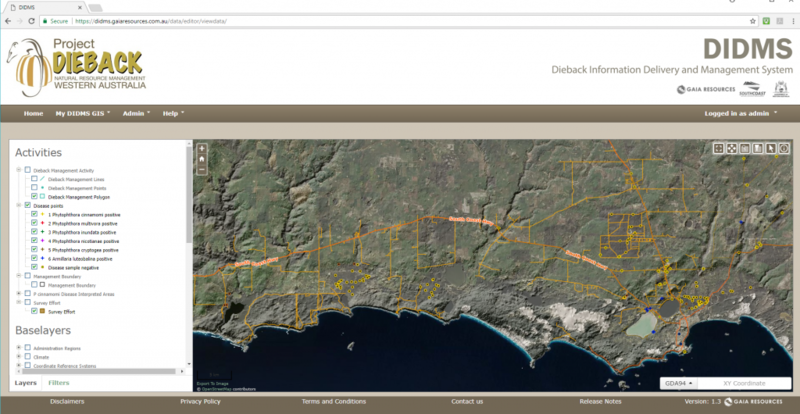 the Dieback Information Delivery and Management System (DIDMS) remains a crucial software platform into the future. The keynote address by Dr Richard Walley strongly highlighted the need for inclusion of indigenous knowledge in the management of country. This message was amplified further by Tui Shortland (Director, Te Kōpū – Pacific Indigenous & Local Knowledge Centre) who presented on ‘Indigenous Wisdom: Phytophthora and Kauri Decline’ and outlined the Cultural Health Indicator Framework as a more comprehensive measure of ecosystem health. A series of excellent speed-talks had attendees moving about the venue, including Tilo Massenbauer’s (South Coast NRM) introduction to the DIDMS. It was apparent that many workers in the field had yet to evaluate the benefits of this powerful information system. We are looking forward to adding further facility to this system in the coming year by adding methods for Risk Hazard Assessment. “Volunteering is worth more to Australia than mining. social scientists need to research the barriers to communicating the need to care for and protect the country. If you’d like to know more about how we can help you with research programs, data management or spatial information systems, then please leave a comment below, start a chat with us via Facebook, Twitter or LinkedIn, or email me directly via alex.chapman@gaiaresources.com.au.